The holiday season is the video game industry’s busiest time of year, with publishers saving many of their marquee titles to release on the public like an avalanche of digital goodness. It can actually be quite overwhelming with so many different options to choose from, so we’ve done our best to put together a collection of what we feel are some of the year’s finest games. 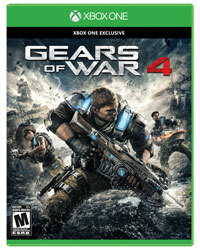 Set 25 years after Marcus Fenix defeated the Locust Horde once and for all, “Gears of War 4” finds Marcus’ son JD leading a group of ex-COG soldiers against a mysterious new threat. Though the game is pretty much business as usual for fans of the series, “Gears of War 4” does introduce a few changes that improve and shake up the overall gameplay. In addition to several new weapons (including our personal favorite, the Buzzkill, which shoots circular saws that can ricochet off walls), the emergence of extreme weather phenomena called Windflares affect combat with strong winds, flying debris and more. Story mode is also a lot more difficult thanks to A.I. enemies that pile on the pressure instead of sitting back and waiting for you to attack. Of course, while the single-player (or co-op) campaign serves as a nice refresher course for those who haven’t played “Gears of War” in awhile, online multiplayer is still the game’s bread and butter. All of the usual modes are here, along with newcomers like Dodgeball and Arms Race to ensure you don’t get bored. Though “Gears of War 4” isn’t as groundbreaking as the original, it’s an enjoyable franchise reboot that keeps everything that was great about the previous installments and builds on it. Telltale Games has been on a real streak lately with high-profile titles like “The Walking Dead,” “The Wolf Among Us” and “Game of Thrones,” but the company’s latest episodic game features perhaps their biggest IP yet. 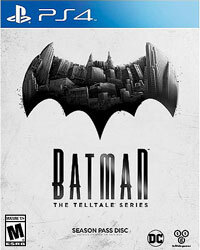 Though it’s not as instantly captivating as some of the aforementioned titles, “Batman: The Telltale Series” delivers the tried and tested combo of choice-based dialogue, puzzle solving and quicktime action scenes that we’ve come to expect. The game doesn’t explore the World’s Greatest Detective angle quite as much as it should, but that’s largely because you spend more time playing as Bruce Wayne, digging into his family’s secret history after it’s revealed that his father may not have been the saint he appeared to be. With that said, the Batman sequences are a lot more fun, whether you’re devising a plan of attack, stringing together clues at a crime scene or battling one of his many iconic villains. As with most Telltale games, the storytelling is stronger than the gameplay, but fans of their click-and-point adventures (and Batman in general) will find plenty to enjoy. Okay, we’re not actually suggesting you abandon work and play these awesome games, but they are still handy to have for whenever you have a few minutes to spare. Browser-based games can be played from any browser, including the one on your smartphone. They are great for some quick entertainment. To make it even better, browser-based games today are so much better than they were a couple of years ago. To help you get started with enjoying a relaxing time or having some fun in between meetings, here are a few games you definitely should try. It should be a slam dunk – a known property with recognizable characters, an established story and plenty of excuse for spectacle. So why has it been so hard for Hollywood to successfully adapt a video game into a good film? 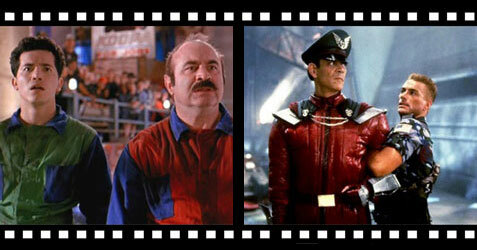 Since 1993’s “Super Mario Bros.,” movie studios have tried to capitalize on the billions of dollars of success of video games by bringing them to the big screen. Yet time and again, what lands is a loud thud of a movie, boring to major audiences and befuddling to the devoted fanbase. Despite the constant critical and/or financial drubbings the films take upon release, producers continue to attempt to adapt video games into successful franchises. “The Angry Birds” movie opened well, but was generally despised by critics, and soon there will be movie versions of “World of Warcraft,” “Assassin’s Creed” and a revamping of “Tomb Raider” franchise. It makes sense why filmmakers and companies are chasing these properties, for all the reasons stated above, but why have they always been such terrible dreck with only occasional flashes of innovation? The first issue is that video games are immersive properties. Gamers are actively participating in these adventures, instead of watching them unfold passively on the screen. That creates the first hurdle for these films to overcome: how do you create something engrossing enough that it wraps people up in the events and makes it feel like it’s happening to them? Even the best blockbusters struggle with this ability to get audiences to identify and empathize with what’s happening on screen, let alone those made simply for cash-in purposes. Therefore, in order to do justice to these video game properties, filmmakers are already facing an uphill climb. 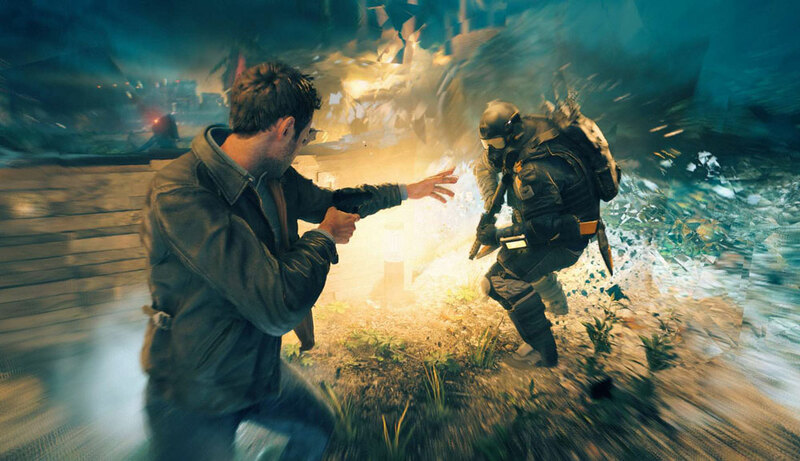 We don’t cover video games on this site as much as we used to, but it’s difficult to ignore a title like “Quantum Break,” which was originally teased during the reveal of the Xbox One back in 2013. That’s because it’s unlike anything you’ve ever played before – a uniquely immersive experience that’s one part video game, one part live-action TV series. But to fully understand how the merging of these two mediums works, you first need to know what the game is about. Set in a fictional Northeastern town that’s been overtaken by an enigmatic corporation known as Monarch Solutions, the story follows Jack Joyce (Shawn Ashmore), who returns home after years of trying to escape his past when he receives a cryptic message from his friend Paul Serene (Aiden Gillen) asking him to meet at Riverport University. It turns out that Paul has been secretly building a time machine, and with his investors threatening to pull the plug on the project, he needs Jack’s help to prove that it actually works. But when the experiment goes horribly wrong and causes a fracture in time, Jack and Paul are affected in different ways; Jack is granted the ability to manipulate time, while Paul can see into the future. Forced to go on the run after he’s framed for the incident, Jack must team up with his physicist brother Will (Dominic Monaghan) and a Monarch security officer named Beth Wilder (Courtney Hope) to stop Paul – who has returned from the future a changed man – from exploiting the time fracture for his own personal gain. If that sounds incredibly ambiguous, that’s because saying any more would be wading into major spoiler territory. The holiday season is the video game industry’s busiest time of year, with publishers saving many of their marquee titles to release on the public like an avalanche of digital goodness. It can actually be quite overwhelming with so many different options to choose from, so we’ve done our best to put together a collection of what we feel are some of the year’s best titles, and ones that the gamer on your list will love. If you’ve ever wanted to know what it would be like to be a part of the “Star Wars” universe, Electronic Arts’ “Star Wars: Battlefront” lets you live out your ultimate fantasy by dropping you into the middle of the action in some of the most famous locations from the original trilogy. Whether assuming the role of a Rebel soldier or Stormtrooper fighting on the ground, an X-Wing or TIE pilot engaged in a massive dogfight in the skies, or as one of the many legacy characters like Luke Skywalker and Darth Vader, this is “Star Wars” fan service at its very best. Boasting gorgeous, photorealistic visuals and addictive gameplay, “Battlefront” is the most enjoyable “Star Wars” game since “Knights of the Old Republic.” Though the single player/co-op modes aren’t very exciting (they’re mostly just a place to hone your skills and waste a few hours with a friend), the online multiplayer is where the game really shines. There are nine modes to choose from – including favorites like Fighter Squadron, Heroes vs. Villains and Supremacy – with each one delivering a unique experience from the others. “Battlefront” is the “Star Wars” game that fans have been waiting for, and with more content planned for the future, it can only get better. How do you make a great game even better? That’s the challenge put forth each year to EA Sports and their “FIFA” franchise, and every time, they respond in brilliant fashion. Though there aren’t any major changes to the gameplay, “FIFA 16” has implemented some small but important refinements to deliver the most authentic soccer simulation yet. On the field, defending has been given a complete facelift, including the ability to defend better as a unit with enhanced AI awareness, goalkeepers who make less mistakes, and improved tackling mechanics. The EA Sports team has also added something called Passing with Purpose that allows you to ping driven ground passes to teammates in tight spaces, as well as No Touch Dribbling, which gives you more creativity on the ball. Off the field, the changes are even bigger, headlined by the announcement that you can now play as one of 12 Women’s National Teams in a variety of game modes. Career Mode has also received two of the most requested features – pre-season tournaments and player training to increase stats – while Ultimate Team has added a new mode called FUT Draft where you build a team by picking each position from a five-player draw and then compete in challenges to win rewards. This is the most definitive edition of “FIFA” yet, and it’s an absolute must-have for any soccer fan.